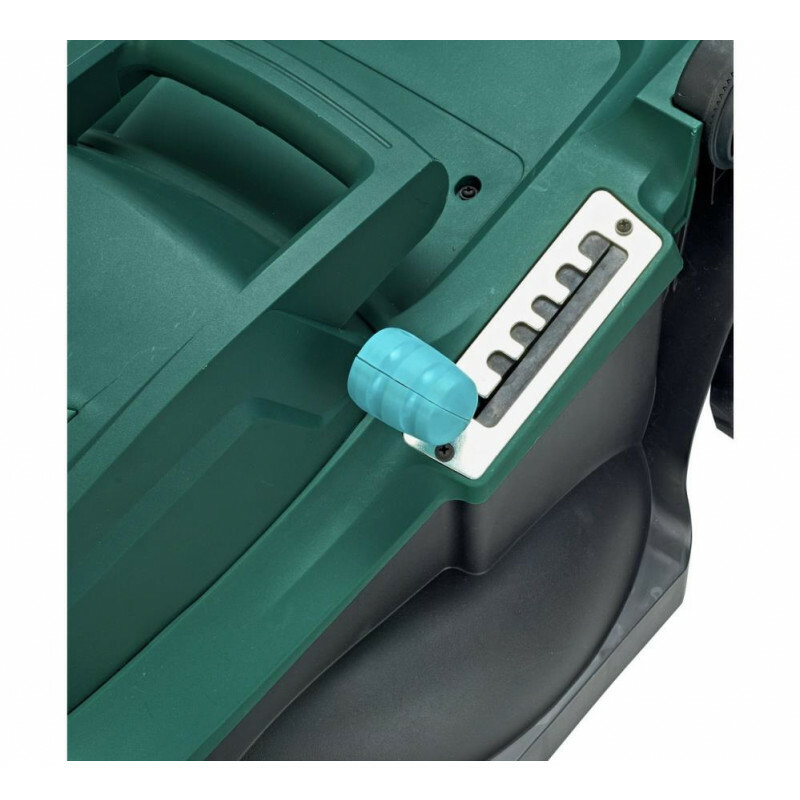 Please note that this item is sold without the grass box handle. 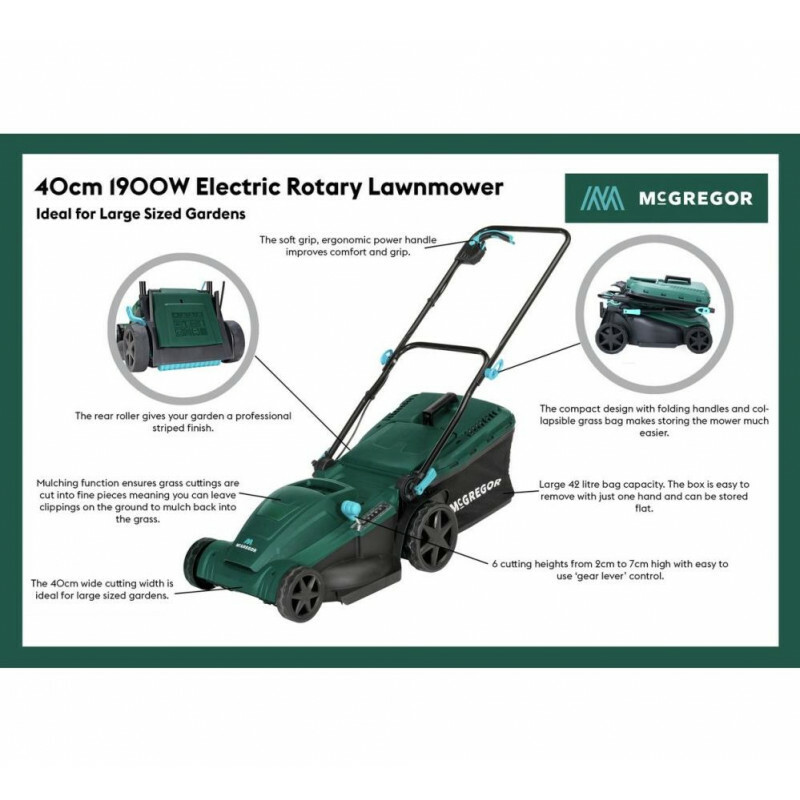 The McGregor 40cm is a powerful rotary lawnmower designed to cut a professional finish over large areas. 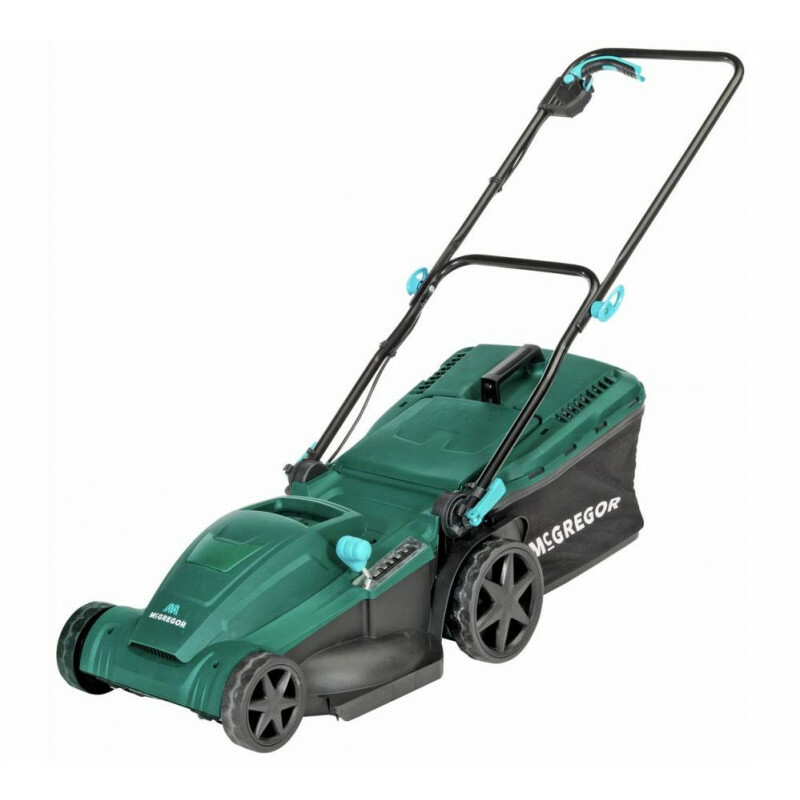 The 1900W motor with Torque Drive, gives you more power to effortlessly cut through tough dense grass. It gives you 6 different cutting heights to suit your lawn with easy to use one-handed gear lever. 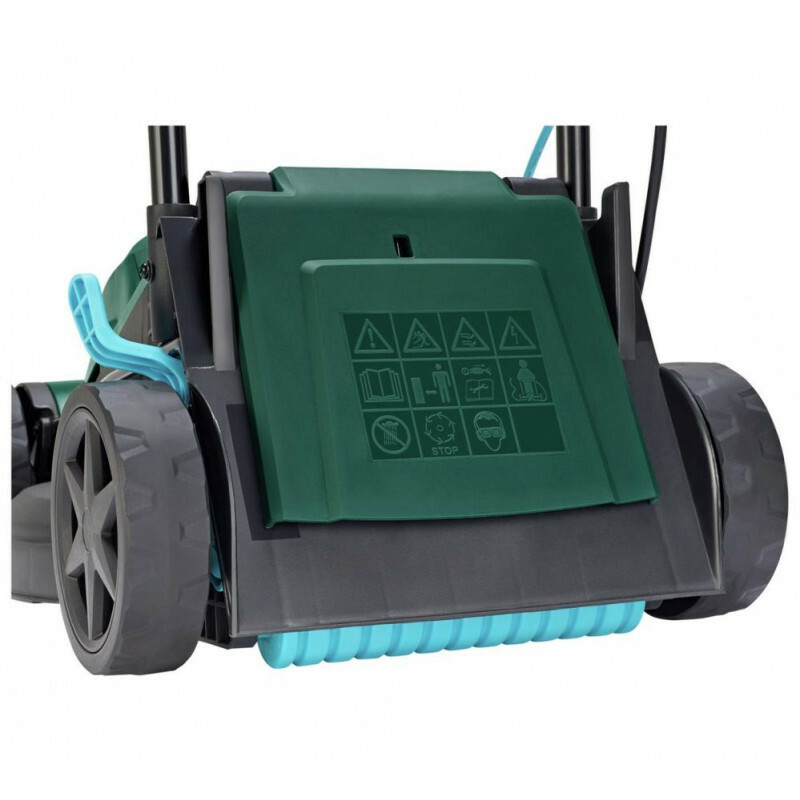 Large 42 litre grass bag capacity means fewer trips to empty it while you are mowing your lawn. The collection bag has a grass full indicator, which will tell you when you need to stop and empty it.